On 03/19/2019 at approximately 7:00PM, members of the Troop-D Quality of Life Task Force, the Statewide Narcotics Task Force – East Office, the Putnam Police Department and personnel assigned to the Troop D “Danielson Barracks” executed several search and seizure warrants at #23 Hanley Street in Putnam. 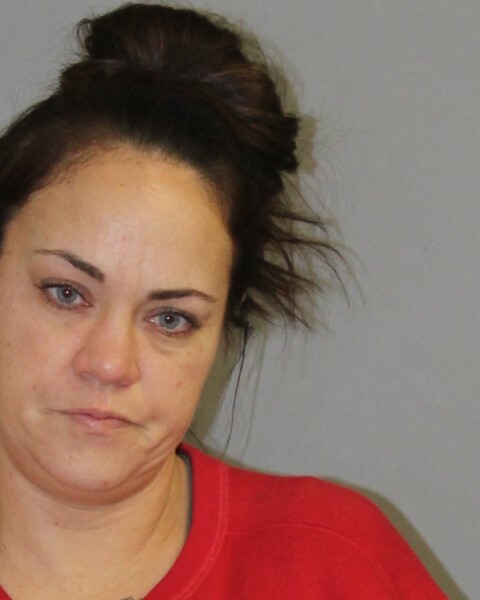 The search warrants were obtained after a lengthy investigation revealed that 35 year old Ashley Goulet was selling crack cocaine from her residence. Once entry was made into the residence by police personnel, a systematic search was conducted and approximately 15.3 grams of prepackaged “crack” cocaine, one inoperable handgun, scales, and packaging equipment were seized. Due to a five year old child residing at the residence, the Drug Endangered Child (DEC) protocol was followed. Two Department of Children and Family Services (DCF) workers were contacted and arrived on scene. A separate case has been initiated by DCF. Goulet was taken into custody and was transported to the Troop D Danielson barracks and charged with Possession of Narcotics, Possession of Narcotics With intent to sell, Operating a Drug factory and Risk of Injury to a Minor. She was released on a $50,000 cash/surety bond and is to appear in Danielson Superior Court on 04/02/2019.